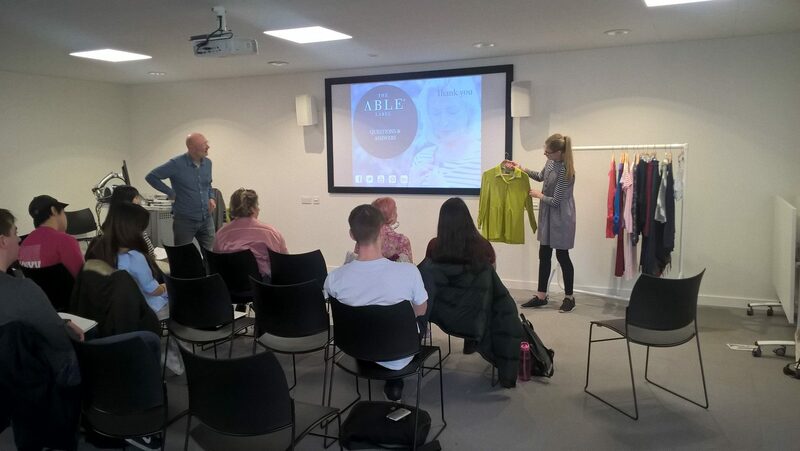 Katie Ellis has shared both her expertise in accessible clothing and her start up journey with our Designing for the Future students. Katie began as a buyer for fashion retailers White Stuff before starting her own label, The Able Label. The result of extensive user research, The Able Label is pioneering accessible clothing for style-conscious women who appreciate dressing being made easier. The Able Label sells quality, stylish women’s clothing livedealercasino.online with important hidden extras – those little touches such as discrete and easy fastenings which make taking clothes off and on much easier. The clothes have been designed to help people with restricted movement and reduced fine motor skills, perhaps through arthritis, a frozen shoulder or stroke. Making dressing easier and using high quality, comfortable easy-care fabric, the attractive mix and match styles are for anyone who values their independence and confidence.